Welcome to Sea Cabins Vacation Rentals! Emerald Coast by Owner is proud to offer you some of these condominiums along the white sand beaches of Destin, Florida! These condos not only come with beautiful views and convenient location, but there's community pools, tennis courts, and basketball courts! 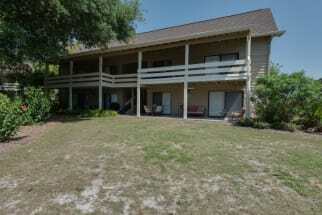 Located right along Scenic Gulf Drive Central East, this is the perfect place to stay! Sitting in Destin's Miramar Beach, this complex offers an old-time Florida feel but also the perfect amount of adventure on your vacation. FInd a place for the family or your next couples getaway. Suppose you're looking for a super fun trip full of activities, you can take full advantage of the parasailing, golfing, paddle boarding, deep sea fishing, fishing offshore, boat tourism, water parks and more! If you're looking for more of a relaxing trip, you can lay on your balcony, by the pool, on the beach, go to Henderson State Park and experience amazing scenery and private beaches, or go to a local spa! When it comes to food, there's nothing to worry about. Destin is known for its variety of delicious seafood eateries, equipped with great food, coastal views, and good service! Visit us at Emerald Coast by Owner to book your Sea Cabin rental you have ever had in Scenic Gulf Drive Central East at the Sea Cabins. When you book with Emerald Coast by Owner, we make it easy for you to choose where, when, and what you want to do on your trip. Contact the owner with any questions and book today!